Simplicity is the best form of fashion and style. 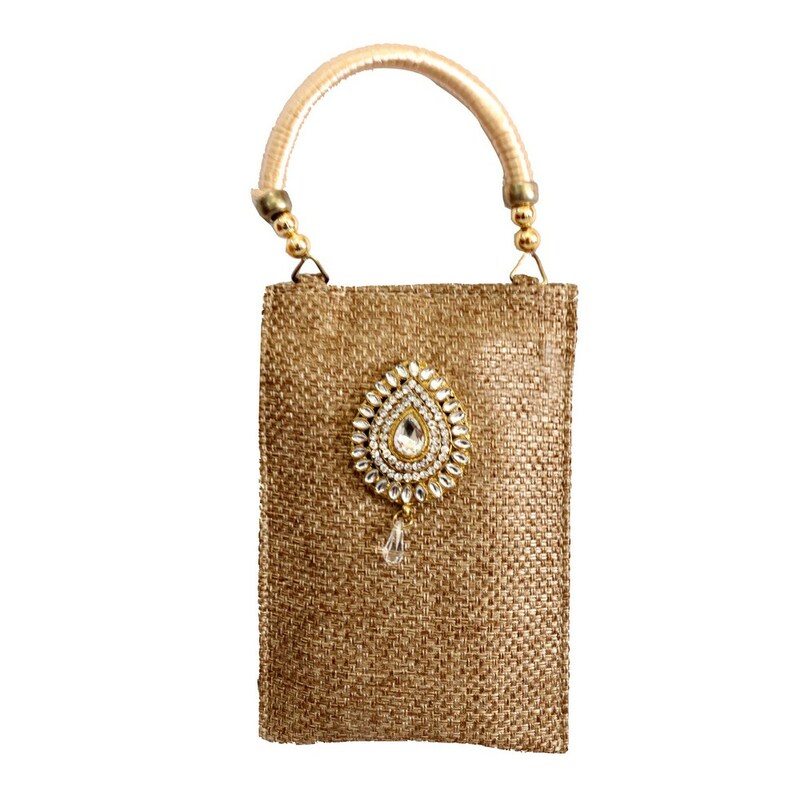 With this simple looking jute fabric clutch bag, no outfit can go wrong. Any day or Read More..any occasion can get heightened with this simple ornament. The fabric is jeweled with a precise stone attachment making it look authentic. Show Less..